On October 30, 1945 Henry Winkler was born. 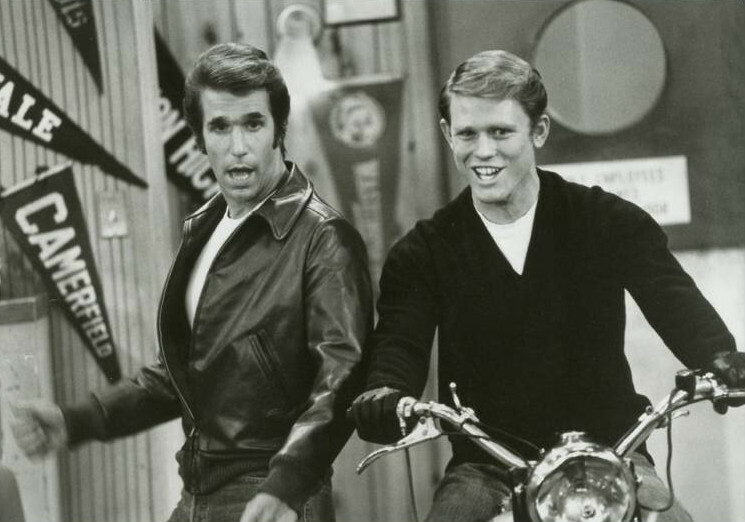 Throughout his 40-plus career in television and film, Winkler is best known as playing Arthur Fonzarelli, or better known as “The Fonz” or “Fonzie,” on the American sitcom “Happy Days.” In the sitcom Fonzarelli was depicted as the epitome of “cool,” being a leather-jacket wearing, motorcycle-riding ladies man. Random Pop Culture Fact: Winkler had an uncredited cameo in the 1996 slasher film, “Scream,” as Principle Himbry of Woodsboro High School.